Manufactured using prime cold rolled steel. All-welded construction prevents warping and twisting. Full piano hinges prevent doors from warping or sagging. 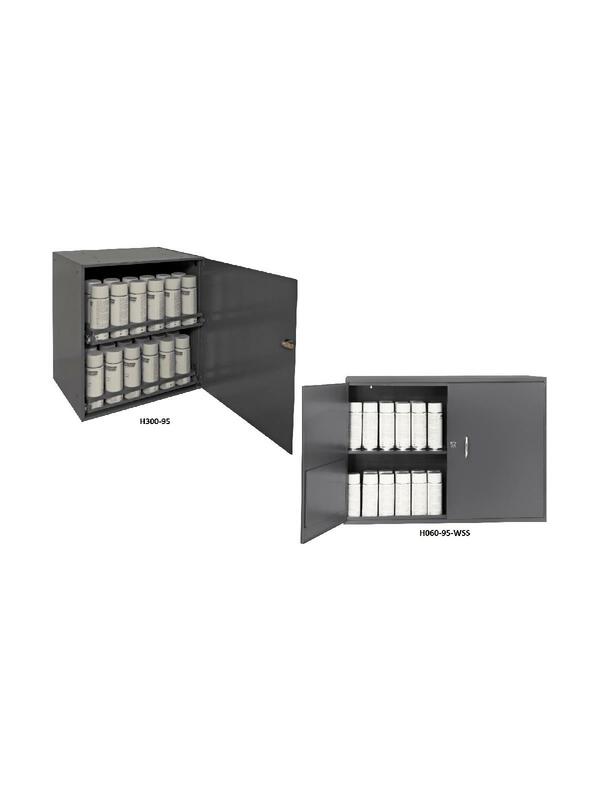 Units feature pre-installed lock and 2 keys are included. Durable gray powder coat finish. FOB Shipping Point. 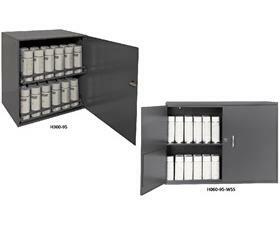 H300-95 has sliding pull out shelves and holds 48 cans. H060-95-WSS is wall mountable and hold 88 cans.